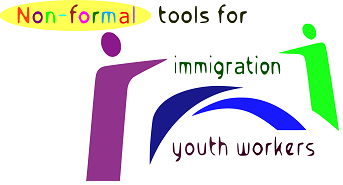 “Non-formal tools for immigration youth workers” is a 10 days seminar that will take place in Bolde?ti-Sc?eni, Romania, from 24th of May to 4th of June. The seminar will bring together participants from Bulgaria, Germany, Greece, Hungary, Italy, Romania, Turkey. The project will focus in providing to the participants knowledge and skills to supporting better the integration of the immigrants and refugees in their own countries. “Non-formal tools for immigration youth workers” is organised by D.G.T. association and here you can read the detailed information. All the participants for this project must meet the following criteria. We have preference for youth workers who are involved with social educational and cultural voluntary activities and some experience with deal with immigrants/refugees. All essential costs of the program in Romania (including food, travel costs, accommodation and training) will be covered through a project grant by Erasmus+. Max travel cost for Bulgaria is 180€ and we recommend teh Bulgarian participants to use eco friendly transport, e.g. a bus. If you think this opportunity is for you, please click the link below, fill in the application form and press submit. If you have any questions regarding the project and your application, don’t hesitate to contact us at trainings@cvs-bg.org.